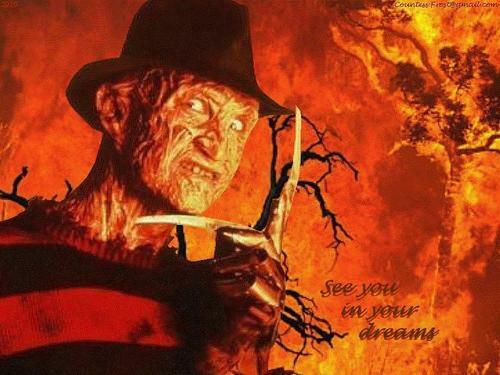 See te in your dreams. "See te in your dreams" - a Freddy Krueger (Robert Englund) wallpaper created da TheCountess. HD Wallpaper and background images in the Freddy Krueger club tagged: anoes a nightmare on elm street freddy krueger robert englund horror movie fan art wallpaper thecountess. This Freddy Krueger wallpaper contains anime, fumetti, manga, and cartoni animati. There might also be fuoco, fiamme, and inferno.